Save more moola for summer fun — try these savvy energy-saving tips, and ditch the exorbitant energy bills once and for all. We all enjoy being warm and cozy in the winter, and cool as a cucumber in the summer — but the energy bills that keep us there can get out of hand quickly. In fact, the average American household spends roughly $200 per month on energy bills, according to 2012 U.S. Census data. Luckily, home updates, inexpensive projects, and even minor changes in routine can create notable savings. When my husband and I started our home search, we knew energy efficiency was a priority. Before we found a real estate agent, we carefully considered how many square feet we’d need to be comfortable as a family — and it wasn’t as much space as we’d thought. House hunting was absolutely about finding a place that looked and felt like home, but we also kept in mind practical considerations. Updated windows, modern appliances, and a sufficiently insulated attic can have big impacts on home energy use. We also found that some home features, such as cathedral ceilings and sun rooms, can increase energy costs. And if you’re home shopping in hot climates, keep an eye out for homes with cool-roof features to prevent the air-conditioning from working overtime. Once we found a home we loved, we lined up a home inspector with a great reputation. Walking through the home alongside the inspector taught us a lot about our home’s energy efficiency. We learned how our insulation levels compared to standards in our region, and the age of major appliances and equipment in the home. If your dream home doesn’t come with an energy-efficient water heater or updated windows, there’s no need to despair. Issues that show up during a home inspection give you grounds to negotiate with the seller. In the end, our family of three chose a modern cottage (just under 800 square feet) in a great neighborhood with a large garage for hobbies and storage space. We get a lot of use out of our generous outdoor entertaining space and garage, while the modest size of our home keeps our monthly utility bills low. It’s a choice we don’t regret! Image from the Federal Trade Commission. Older appliances may not be as easy to assess, but you can use the U.S. Department of Energy’s appliance energy calculator to estimate how much energy they use. With roughly half of all energy expenses going to heating and cooling, high-performing heating, ventilation, and air-conditioning (HVAC) equipment should be a priority for every homeowner. Overall efficiency, however, isn’t the only factor to consider when evaluating your heating and cooling system. When we initially bought our home, the previous owners installed an oversized furnace. It might’ve been a great choice for a larger home, but not ours. The furnace would inefficiently short cycle during winter, ratcheting up our energy costs while causing excessive wear and tear on the furnace itself. When we replaced it with a model half the size, we saved a bundle on our monthly utility bill. Not a lot of dollars to put down on a new HVAC system? No problem. Not every move toward energy efficiency requires an expensive home upgrade. There are all kinds of quick fixes that owners and renters can make to cut back on energy costs. Energy Star has simple money saving tips that anyone can put in place today. Easy tasks, such as replacing weather stripping on a drafty front door, washing laundry in cold water, changing your ceiling fan’s direction, and using energy-efficient light bulbs, can all make an impact on your budget’s bottom line. Expert help doesn’t have to be expensive. 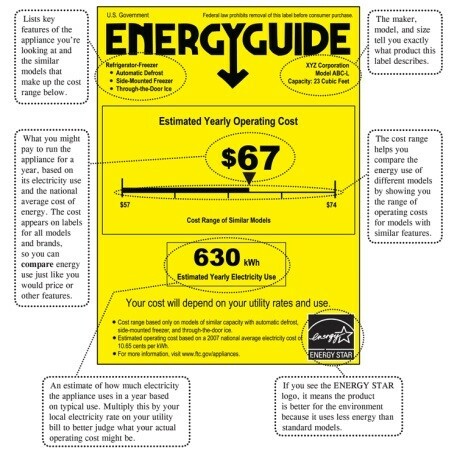 Many local utility companies provide an energy audit, and they often offer them for no charge. We recently scheduled this kind of assessment, and when they come out, they’ll give us free advice on how to lower our energy bill even further. As a part of their visit, they’ll update up to 20 light bulbs at no cost, increasing our home’s efficiency on the spot. They offer high-performance shower heads and other free perks, too. Energy-efficient upgrades provide a whole lot of bang for your buck. In addition to lowering your monthly utility bill or making your home more comfortable in extreme weather, you might also be eligible for tax credits, rebates, and additional savings. We updated our windows and replaced our furnace by using tax credits. The number of programs offering additional savings can be overwhelming. Luckily, you can conduct some quick research online to ensure you’re not missing out. The U.S. Department of Energy’s tax credits, rebates, and savings database is a great place to start.